Facebook, Twitter, Pinterest, YouTube...Grow your business through social media marketing. Your website is up and running. Now what? Are you looking for that extra tool to stay connected with your customers? The next step is to get active on social media platforms. Not familiar with social media? 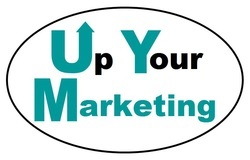 Up Your Marketing can help. We can develop Facebook pages, Twitter accounts, or create boards to keep your customers connected to everything happening within your business or organization. Are you a small business or organization and just don't have the time to maintain so many social media accounts? Are you drowining trying to keep up with your posts on Facebook, tweets on Twitter, pins on Pinterest, etc, etc? Let us help with the maintenance of your accounts. Perhaps you need assistance growing your social media presence. Are you looking for more likes or additional followers? Let us help get the word out about your social media pages too. Complete our form to request services.